The organizers of Metabolomics 2017 are pleased to announce the confirmed plenary speakers below. Click on each presenter to access their complete bio. Krishna Mahadevan is a Professor in the Departments of Chemical Engineering & Applied Chemistry, and Institute of Biomaterials and Biomedical Engineering at the University of Toronto. He obtained his B. 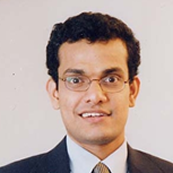 Tech from Indian Institute of Technology, Madras in Chemical Engineering in 1997 and then obtained his Ph.D. degree from the University of Delaware in Chemical Engineering in 2002. He was a research scientist at Genomatica Inc., San Diego from 2002–06 and has also held appointments as a visiting scholar and a guest lecturer at the Department of Bioengineering in the University of California, San Diego, and in the Department of Microbiology, University of Massachusetts, Amherst. His research interests are in the area of modeling, analysis and optimization of metabolism for applications in bioremediation, biochemicals production and medicine. He has received David W. Smith Jr. Best Paper Award in 2006, the Jay Bailey Young Investigator Award in Metabolic Engineering in 2010, the Society of Industrial Microbiology and Biotechnologys’ Young Investigator Award in 2012, University of Toronto FASE Research Leaders Award in 2013, the Alexander von Humboldt Fellowship in 2014 and the Syncrude Innovation Award in 2014. 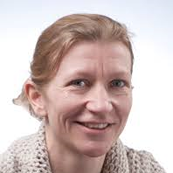 Hanne Christine Bertram is professor in food metabolomics at Department of Food Science, Aarhus University, Denmark. Over two decades, Hanne Christine Bertram has worked with implementation of nuclear magnetic resonance (NMR) techniques in food science emphasizing both technological, biofunctional, and health-related aspects of foods, and Hanne Christine Bertram has been pioneering in the introduction of NMR-based metabolomics in nutrition research. Her recent research is focused on the use of metabolomics to gain mechanistic insight in nutrition with emphasis on animal-derived proteins. Hanne Christine Bertram has authored more than 140 peer-reviewed papers in the food science area and her work is cited more than 2500 times (H-index=28). Hanne Christine Bertram is actively engaged in industrial collaboration and participates in numerous cross-disciplinary research projects with industry partners. Hanne Christine Bertram has acted as Associate editor for the Journal of Agricultural and Food Chemistry from 2010 and until 2015, and she has participated in the evaluation of research proposals for several international research panels. Hanne Christine Bertram is educated from the former Royal Veterinary and Agricultural University in Denmark, and in 2003 she received a PhD degree in food science and technology. In 2006 Hanne Christine Bertram was awarded ‘Young Elite Researcher’ by the Danish Research Council, and in 2009 she was awarded Danisco’s ‘Food Research Prize’. 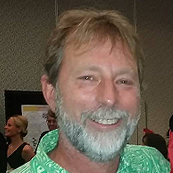 Anthony Carroll obtained his PhD from the University of Sydney (1989) and subsequently worked as a postdoc in marine natural product chemistry with Prof Paul Scheuer at University of Hawaii and Prof John Coll at James Cook University. Between 1993 and 2007 he held a senior research position as Program Leader (Deputy Director) in Natural Product Chemistry (13 FTE staff) at GU’s Natural Product Discovery. His research focused on NP drug discovery in collaboration with the industry partner, AstraZeneca and he played a leading role which was pivotal to the success of the AZ/GU collaboration resulting in over 0M in investments by AZ at GU. In 2008 Tony moved to the Gold Coast campus of GU to take up a position within the Griffith School of Environment. In 2010 he was appointed Deputy Head of School and in 2012 he was promoted to full Professor. Professor Carroll has extensive expertise in the fields of natural product chemistry, NMR spectroscopy, biodiscovery, chemical ecology, chemotaxonomy and organic synthesis. His current research activities are focused on chemical aspects of microbe/marine invertebrate symbiosis, chemical diversity in relation to marine invertebrate biodiversity, infectious diseases (prion, bacterial and protozoan) and cancer drug discovery, chemotaxonomic relationships within the phyla Porifera, Bryozoa, the Class Ascidiaceae and within the plant families Myrtaceae, Proteaceae, cyanobacteria toxin identification, insect/plant chemical ecology and marine invertebrate chemical ecology. Professor Carroll has published 140 refereed research papers in high ranking international journals (3656 citations), one book chapter and gained 2 world-wide patents. His current h-index is 36. He has trained 11 research fellows, 16 research assistants, graduated 14 PhD and 24 honours students and currently supervises 14 PhD students, one Masters Student and 4 honours students. In the past 5 years, Professor Carroll has been awarded over $ 1 600 000 from national and international competitive grants for fundamental research and over $ 600 000 for consultancy research. Roy Goodacre is Professor of Biological Chemistry at the University of Manchester. His research interests are broadly within analytical biotechnology and systems and synthetic biology. He has over 20 years experience of advanced bioanalytical measurements including MS-based metabolomics and has pioneered the application of a variety of Raman spectroscopy methods for the direct analysis of bacteria and human biofluids. Details of the research work his group undertake can be found here: www.biospec.net. He has published >350 scientific papers and if you believe in such metrics has reasonably healthy H-indices (60, Web of Science; 72, Google Scholar). 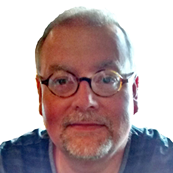 He helped established the Metabolomics Society, is a director of the Metabolic Profiling Forum, and is founding Editor-in-Chief of Metabolomics (established 2005) as well as being on the Editorial Advisory Boards of four other analytical journals. He is founding director of a novel microbial resistance typing diagnostics company Spectromics. Finally, he was awarded the RSC Industrially-Sponsored Award in Bioanalytical Chemistry in 2005, made a Fellow of the Society for Applied Spectroscopy in 2015, and an Honorary Fellow of the Metabolomics Society in 2016. Debra Meyer is a Professor of Biochemistry and the Executive Dean of Science at the University of Johannesburg. She was formerly Head of the Department of Biochemistry at the University of Pretoria. Prof Meyer holds a PhD in Biochemistry and Molecular Biology from the University of California, Davis in the United States, and a Master’s degree from the Rand Afrikaans University (South Africa) and also completed Executive Leadership training at Harvard University and the University of Pretoria’s Gordon Institute of Business Science. She is currently a director or trustee of 4 national/multi-national organisations/trusts. 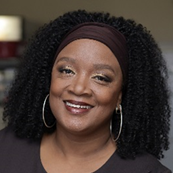 Her research approach involves applying analytical methodologies for an improved understanding of HIV/AIDS and associated opportunistic diseases. In this regard she works on metabolomics-profiling of HIV/AIDS biofluids and novel treatment options using synthetic (metallodrugs) and natural sources (plants, soft coral). Prof Meyer is actively involved in social issues, focusing on HIV/AIDS and multilingualism in South Africa and has been the recipient of various awards for science expertise and community service. Metabolomics 2017 Brisbane, Australia June 25-29, 2017.